Valencia CF are interested in Sampdoria's midfielder Roberto Soriano and could make a move to purchase the player this winter. Sampdoria coach has already admitted that the player could move in the winter and the club would be willing to sell him at the right price. 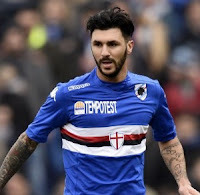 Roberto Soriano main position at Sampdoria is central midfielder and he's scored 6 goals and provided 2 assists in the Italian league for them this season. He is currently valued at about 10 to 12 million euros, prize tag which is acceptable to Valencia CF, though Sampdoria would be pushing for higher fee, somewhere is the region of 15 million euros.